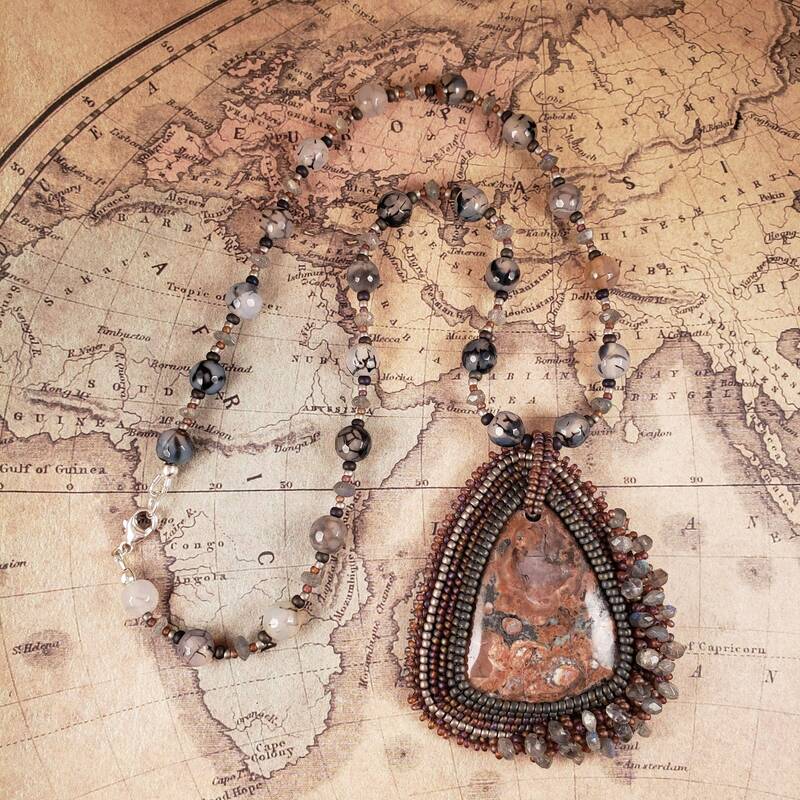 Gorgeous jasper necklace, boho chunky statement pendant. 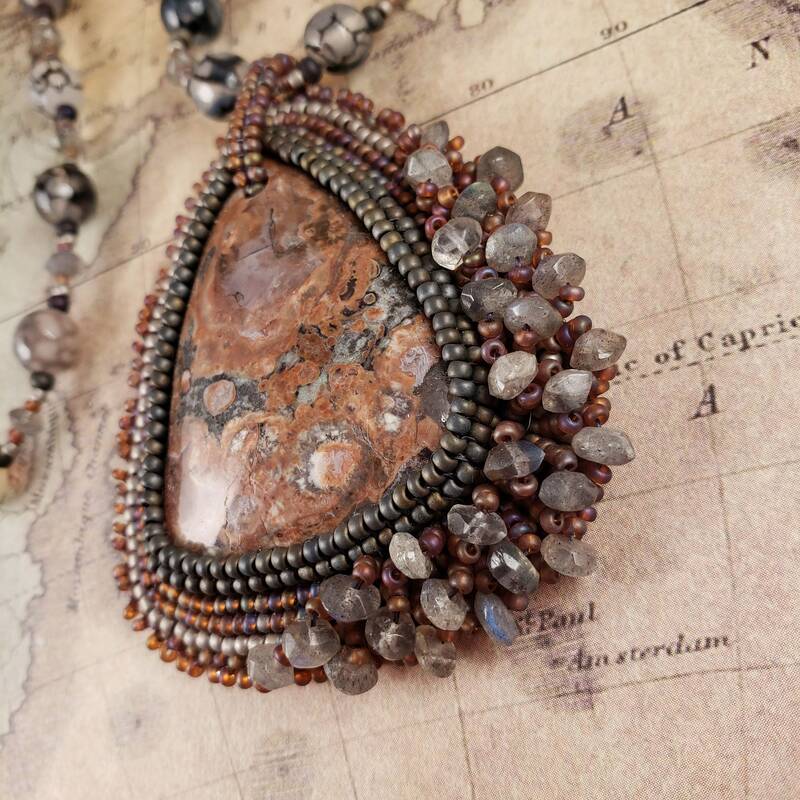 Interesting tans and earthy colors and quartz deposits. 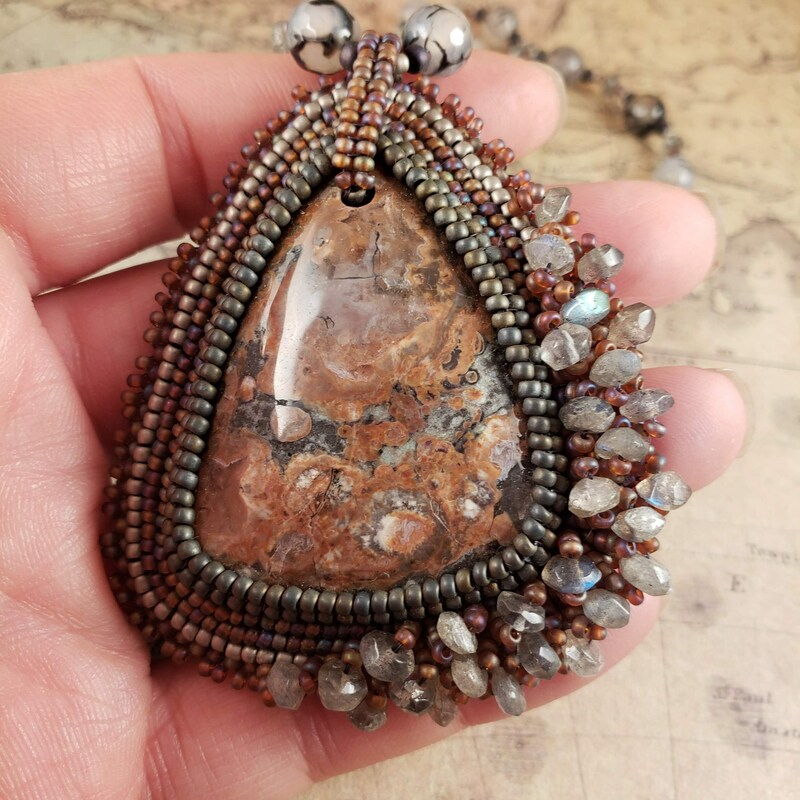 Beautiful faceted labradorite stones adorn the edge of this hand beaded pendant and add a slight glittery shimmer to the corner. 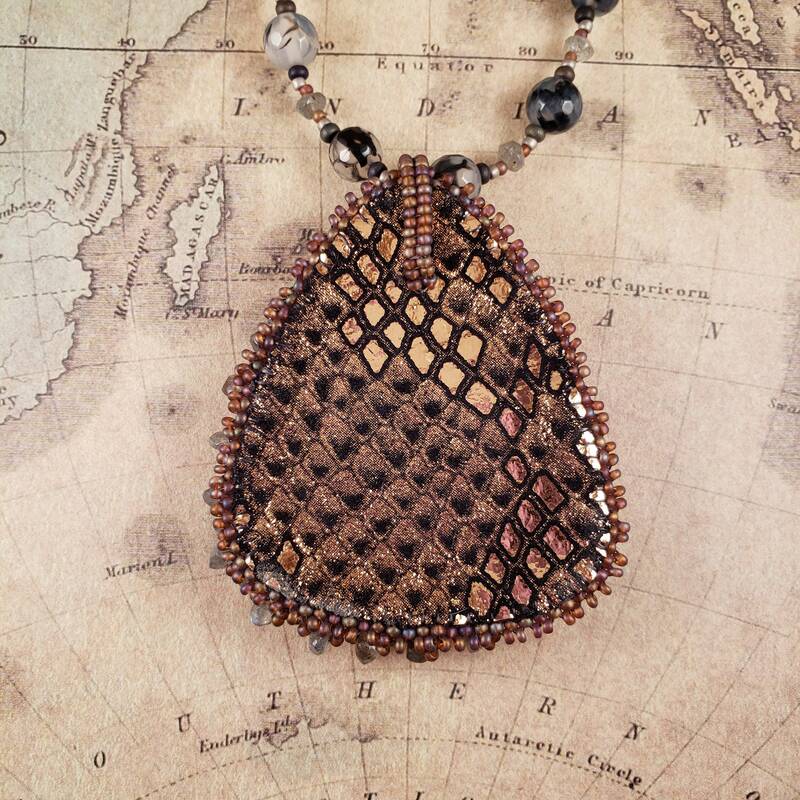 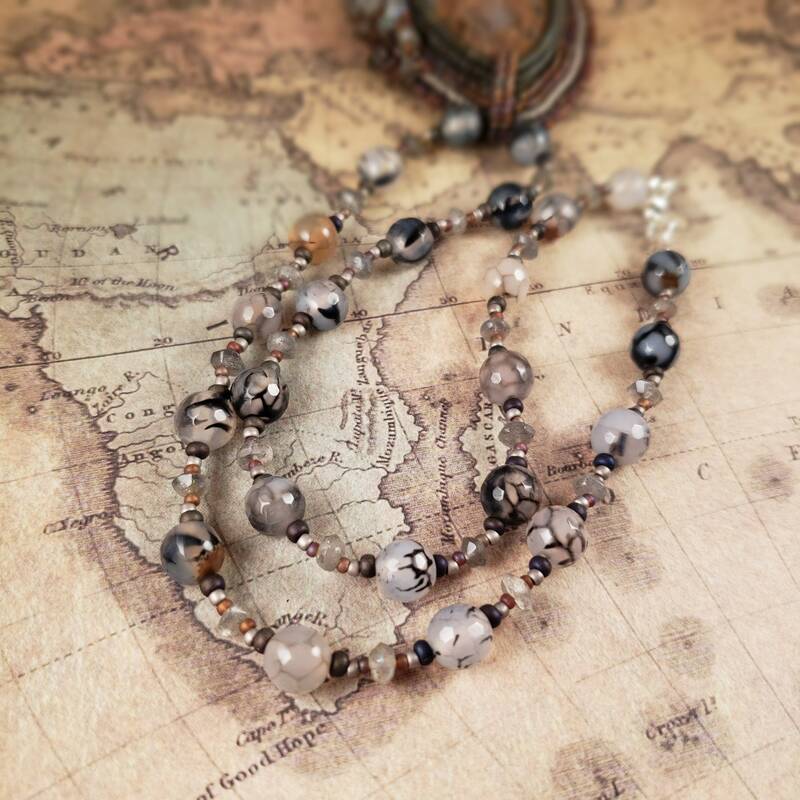 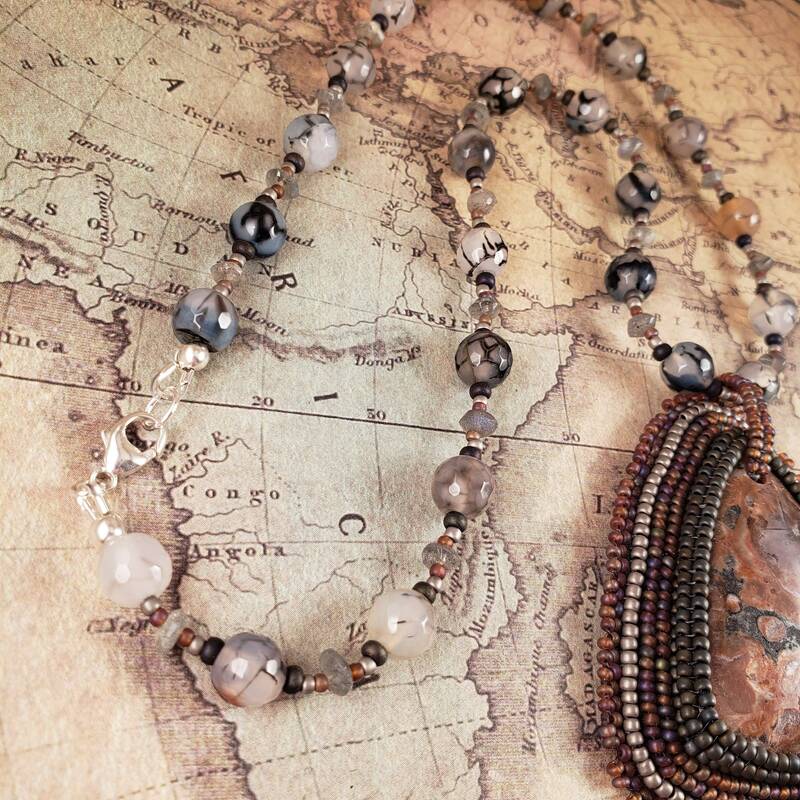 The necklace is beaded with faceted agate beads and labradorite. 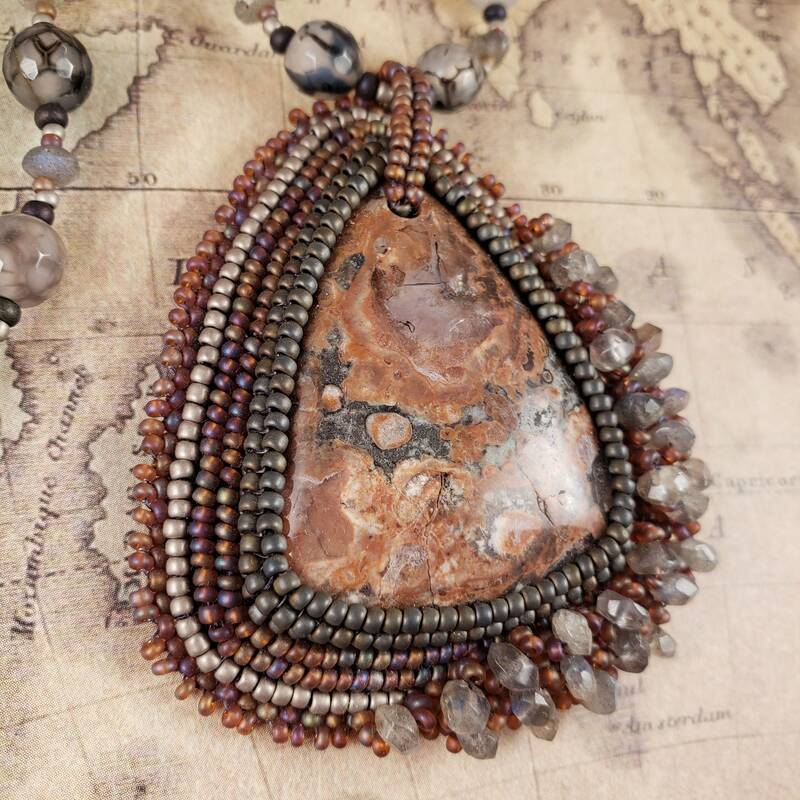 This jasper is commonly called mushroom rhyolite or rain forest jasper. 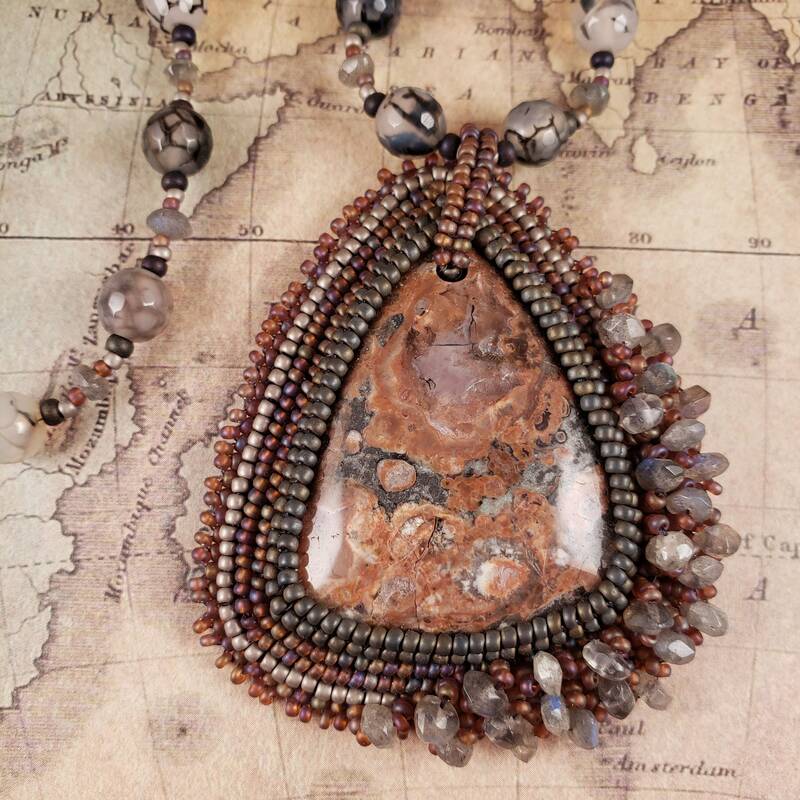 This style is usually mined in North America primarily in Arizona/Mexico area.